We design buildings to make human lives better—but should we also design them to make bacteria healthier? A new study posits just that, suggesting that the microbial communities that live amongst us are deeply influenced by the design of our buildings. Wait—but aren't microbes bad? Not exactly. The idea was to compare design details—like ventilation, light, location, and all kinds of other parameters—to the makeup of bacterial communities within the building. To do that, they first made a model of the building itself—then, fascinatingly, they took air samples using a common vacuum held up into the room. Using that data, they compared how the architecture of the complex had influenced the type and health of the microbes floating around in the air, finding that the design of the building itself did invariably shape how bacteria had flourished (or not). It turns out that there are incredible complex, sensitive ecologies floating around in our buildings—and they're tightly knit, based on where they occur in space. So, that's all well and good, but isn't modernity—and modern architecture, in particular—founded on the idea that cleaner spaces make healthier humans? That's the traditional understanding of bacteria, yes. But, as the study notes, that notion is changing very quickly. Many microbes can actually make us healthier in all sorts of ways—and killing them all isn't necessarily the greatest idea. 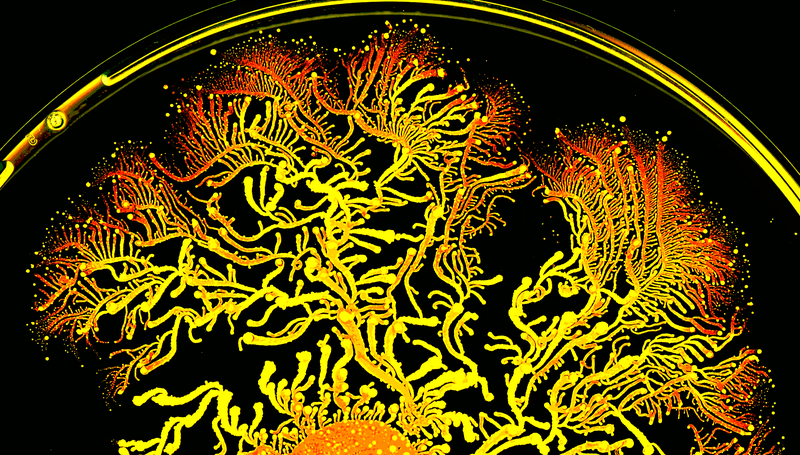 We might even want to encourage certain microbes, and design is one way to do it. In fact, one of the paper's authors, Jessica Green, suggested just that in a talk last year, entitled "We're Covered in germs. Let's design for that." Green and her team are building on the idea with this new data. Churchill famously stated that "[w]e shape our buildings, and afterwards our buildings shape us." Humans help to direct microbial biodiversity patterns in buildings – not only as building occupants, but also through architectural design strategies. The impact of human design decisions in structuring the indoor microbiome offers the possibility to use ecological knowledge to shape our buildings in a way that will select for an indoor microbiome that promotes our health and well-being.